Readings and references in investment strategy and policy, for institutions and individuals who desire to take practical advantage of what is taught in the mainstream of financial economics. Total portfolio approaches; alpha and beta management; strategic asset allocation; manager structure (alpha) optimization; pension actuarial finance. Readings for individual investors, particularly on spending rules and investment risk. In their latest joint effort, Waring and Siegel write on the nature of investment risk, titled "What Investment Risk Means to You: Strategic Asset Allocation, the Budget Constraint, and the Volatility of Spending During Retirement," in The Journal of Retirement, Volume 6, Number 2, Fall 2018. The authors' experience suggests that few investment professionals articulate risk well to their investors. This research uniquely and graphically reveals the nature of strategic asset allocation (SAA) investment risk not only for single-period investors, but also for multi-period investors such as those whose savings are held for retirement consumption purposes. Informed by Monte Carlo simulations, they evaluate and picture the nature of that multi-period consumption risk with both efficient spending rules and inefficient spending rules. Risk in a multi-period context means that expected spending may increase with greater SAA risk, but realized spending, a function of realized investment returns, may instead be worse. To read the award-winning article, click here, or locate it in the Publications section of this website. CFA Institute, the global association of investment management professionals, announces the results of the 2015 Graham and Dodd Awards, a program honoring the top articles published in the Financial Analysts Journal each year. “The Only Spending Rule Article You Will Ever Need” by M. Barton Waring and Laurence B. Siegel received the top award. The article appeared in the January/February 2015 issue, a special issue on retirement security that marked the 70th anniversary of the Journal. 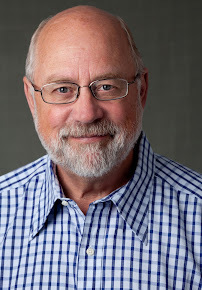 The article’s contribution is to use the annuity technique to determine the maximum income that retirees can withdraw each year without facing the risk of running out of money. The authors call their proposed spending rule an annually recalculated virtual annuity (ARVA). They explain and illustrate the mechanics of the ARVA, which allows retirees to recalculate each year how much they can spend based on their life expectancy and the current value of their retirement portfolio. See Barton's earlier post describing the article in more detail. There Was Nothing I Could Do--All the Correlations Had Suddenly Gone to One! Puzzled for some time about the oversimplified spending rules usually proposed by financial advisors and others helping individual investors (such as the widely-used but dangerous "4% rule"), Duane Whitney and I briefly pointed out in our 2009 Journal of Portfolio Management article that modern portfolio theory provides a better answer (Summer, p. 123). That answer is that what one needs is an annuity for one's remaining life. The insight was that even if you don't want a commercial annuity, you can create a complete substitute on your own. One simply calculates each year the first payment on an annuity for one's maximum possible life, and spends that amount in that year. Next year, you recalculate that first payment again, and spend that amount. In this way you self-correct for portfolio returns and interest rate fluctuations, and you avoid the possibility of running out of money. This was a side discussion in that article, which was primarily focused on the larger problem of investment strategy for investors with spending plans. I've created a document summarizing the critical lessons taught by Grinold and Kahn in the inexplicably little-known appendix to chapter 4 of their otherwise famous text, Active Management (McGraw Hill, 2nd Edition 2000). This is critical material. Anyone interested in active management, including market timing, should find it interesting--if for no other reason than that it takes the terse and difficult language of the original and puts it in far more approachable form. This document gives an easy-to-follow mathematical understanding of the differences between alpha and beta--and even active beta.Waring's summary of Grinold's and Kahn's Appendix to Chapter 4, book "Active Management"
Some time back I put up a post on the important differences between alpha and beta, especially as they relate to the difficult tasks faced by investment managers in their efforts to add value for their clients. I've often been asked to suggest readings on the topic, readings which might be helpful to those trying seriously to better organize their alpha-generating efforts. 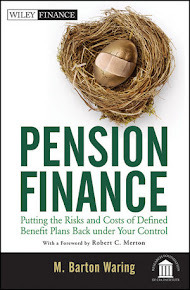 Contact Me: Do you have comments, corrections, or additions to the book, Pension Finance? If so, please aid the process by sending an email to me at barton.waring@aya.yale.edu. All thoughts are appreciated, and I will endeavor to reply to all. Barton Waring. Simple theme. Powered by Blogger.